 Vinspirational Ltd is a fresh, new and exciting design and print business located in Cambridgeshire. We enjoy helping to shape the visual horizon in today’s society with our great passion for design and print. Having innovative and original ideas sets us apart from the rest. We work closely with our clients to provide the best solutions and price for your every need, no job is too big or too small. 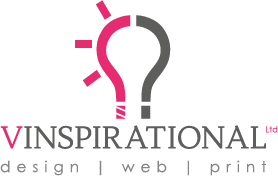 Our specialities range from logo design, product labels, banners, leaflets and posters right through to web design, so what ever the job we are happy to help to provide ideas and design solutions that will truly inspire. Our mission is to provide quality solutions, products and services along with excellent customer relations, at an affordable price. Pursuing total quality and delivering our promises is the most important aspect of our mission. We believe our innovative ideas and designs sets us apart from the competition. Creating a good relationship with our clients is very important to us. Working closely to produce the best possible solution from your briefs set, ensuring that you are happy and pleased with the end result. The majority of our work comes from referrals and recommendations, which is testament to the excellent service we provide for all our valued clients. Time and care is taken within every project, ensuring all our clients receive the best possible quality with the highest possible outcome. As we work closely with our clients, you will always have a dedicated partner to discuss your creative needs with to give you a personal and proper design solution befitting of your company. We always strive for the most creative yet practical solutions. We take the time to fully understand your brief and propose the most creative solution within these guidelines whether it be deisign web or print. As a growing business, we understand that you need to get the most for your money. At Vinspirational Designs, we offer the best competitive pricing compared to any other design studio, print company or agency. With little overhead fees, we are able to focus your financial investment towards the betterment of your project. We ensure that all our clients receive the best turnaround time whenever possible. We are very efficient in our time management and if you need something done by such a date will will make sure it happens. Our unique process starts off with understanding what you require. It’s all about us taking the time to access your thoughts so that we can fully understand your needs. We can then guide you in the right direction giving you the best solution. From which we can then efficiently generate an accurate brief, and start work on your project fully understanding your requirements. This is where so much important work is done. We use the brief and our understanding to work, and work, and work. We explore all the possibilities, we generate ideas and then develop them into solutions. We use our work / play ethos to look at your brief from different angles, to make sure we are providing you with the right solution. An essential part of our process is ‘you’. We have found that direct communication between you and our designers is the best way to achieve results. So after we have developed our ideas we encourage an open and honest discussion. We’ll discuss all the design options with you; the good points, the bad and never duck the tough decisions. It may be that we go back to Step 2, but quite often from here it’s straight on to Step 4. Once our discussions are complete we’ll deliver your project, on time and on budget. If it’s print you ordered, we have some great relationships with high quality printers who will ensure a perfect finish. If your project is digital, our web design specialists will test it thoroughly before launching online. If your request is only for design, we will provide you the high resolution file in any format you desire for you to do with as you wish.